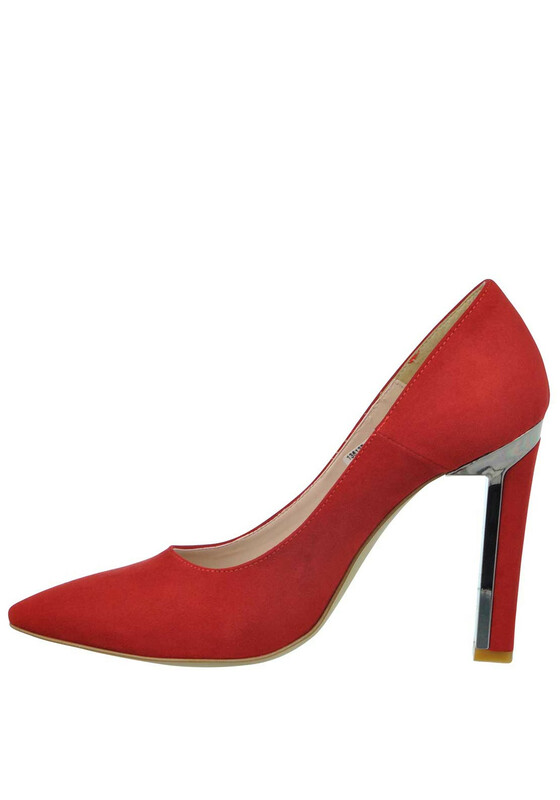 The silver metallic trim on the chunky stiletto heel add an edgy feel to this classic pointed toe court heeled shoe. 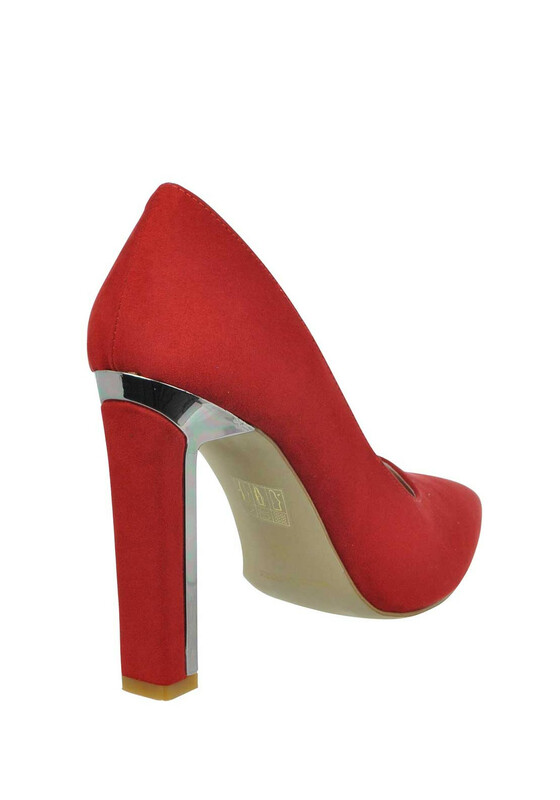 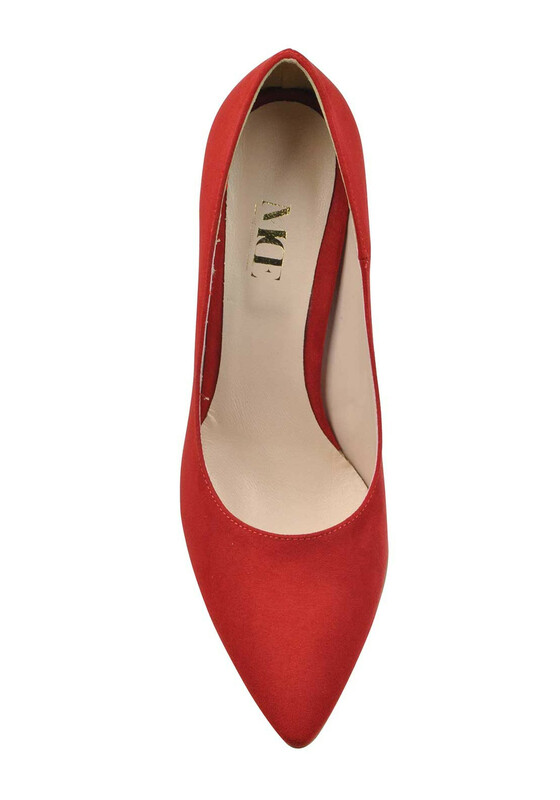 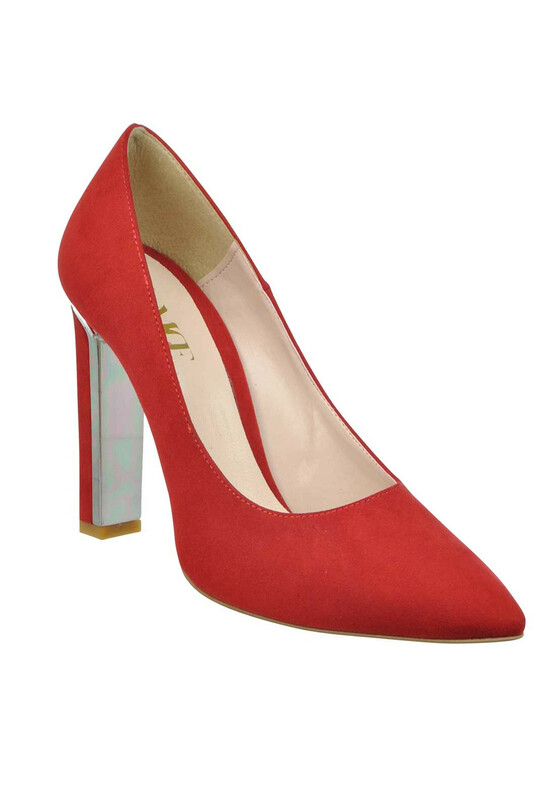 From McElhinney's, this exclusive pair are presented in a daring red and are crafted from a soft suede material. 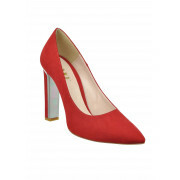 They are finished with a cushioned leather insole and will look amazing with a dress for a special occasion.